AquaPro 2.8-meter inflatable 5HP Yamaha outboard and remote tank. 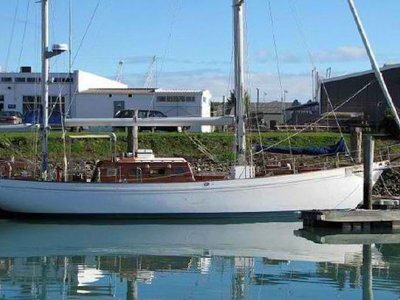 Anchors: 55lbs Simpson Lawrence Delta anchor with 100 meters 7/16" short link Chain 45 lb CQR with warp. House batteries, 1275 amp (5 x 255 amp) deep cycle, lifeline AGM. 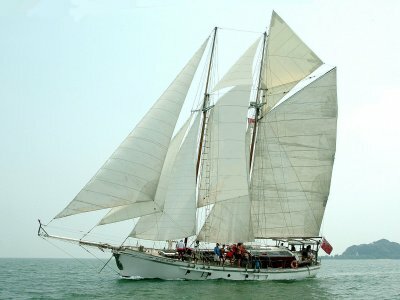 Sail Inventory: Headsail, 45 square meters, on Profurl spar. ; MPS, approx 40-50 square meters; Mast, LP10 section (tapered). 18.6 meters, deck stepped. 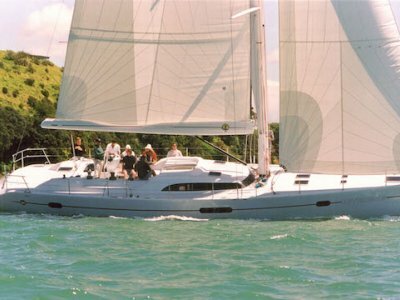 A yacht with all comforts and "top of the line" equipment! This is a yacht for the discerning cruising fraternity - a beautifully appointed spacious cruiser with the best of everything! She has accommodation for six with owner's stateroom aft and a double cabin fwd - both with ensuites. 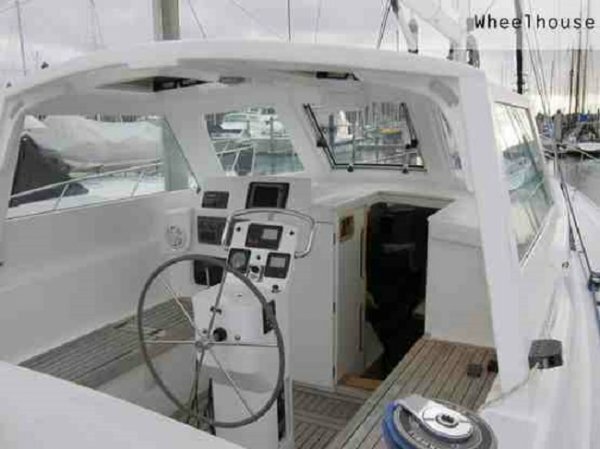 Features a protective wheelhouse and powered by a Yanmar 140 hp engine in an engine room amidships. 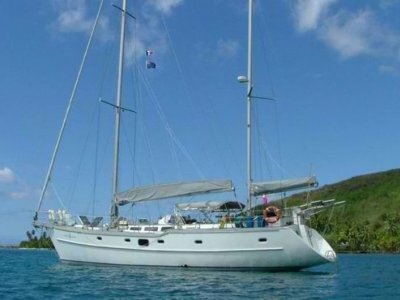 The vessel received an extensive refit in 1995 and has been well maintained at all times. Owner now invites Expressions of interest.